If storage and flexibility count, this is for you. 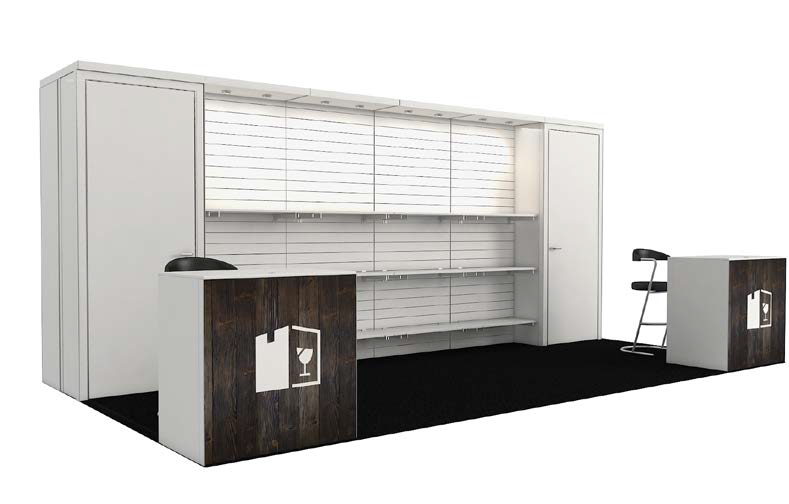 Adjustable, slat-wall shelving can be changed based on the show layout, traffic patterns or both. Engage attendees at two reception counters, both with storage below, and panels for your company name or logo, brand imagery and key messages. You’ll also get two generously sized closets.